In today’s competitive fundraising, nonprofits need innovative strategies to engage current and potential supporters. This means re-energizing fundraising events with new tactics and engagement tools. An innovative approach is to combine Ambassador Fundraising with a gala, auction, or other event to increase fundraising reach and revenue. “Ambassadors” include people of influence, who have strong networks and social clout. Ambassador Fundraising empowers these “ambassadors” to fundraise before, during and sometimes even after your event. Think of it as taking the best of Peer-to-Peer and adding it to your signature event! One of the innovative nonprofits doing Ambassador Fundraising, is Alamance Regional Charitable Foundation of North Carolina. Their signature event, The Black and White Ball attracts over 350 guests and signature sponsors. It is a social highlight of the season. Funds raised from the event provide vital support to local cancer patients. Leading up to the Ball, the Foundation taps seven prominent women from the community to compete for the coveted Belle of the Ball crown (yes, a real crown). The OneCause Peer-to-Peer platform and mobile bidding technology is used by the Belles to engage peers and businesses, increase awareness, raise gala funds and compete to become the Belle of the Ball. Katie Boon, Director of the Alamance Regional Charitable Foundation believes Ambassador Fundraising is key to the dramatic growth in their overall fundraising proceeds. “Over the last 5 years, we’ve increased the number of donors 146% and grown our donations by 147%. I absolutely attribute that growth to peer-to-peer and Ambassador Fundraising,” said Boon. Like any event, keeping things new, fresh and relevant is a challenge. After 4 years of using a variety of different online platforms, Boon and her small (but mighty) team of 1.5 staff needed an easier way to track Belle proceeds, broaden social engagement and integrate new supporters brought in by the Ambassadors into the overall gala fundraising. Enter OneCause Peer-to-Peer and Mobile Bidding technology. Equipped with OneCause fundraising solutions, plus an energized group of Belles, the power of Ambassador Fundraising was about to be unleashed on the Black and White Ball. 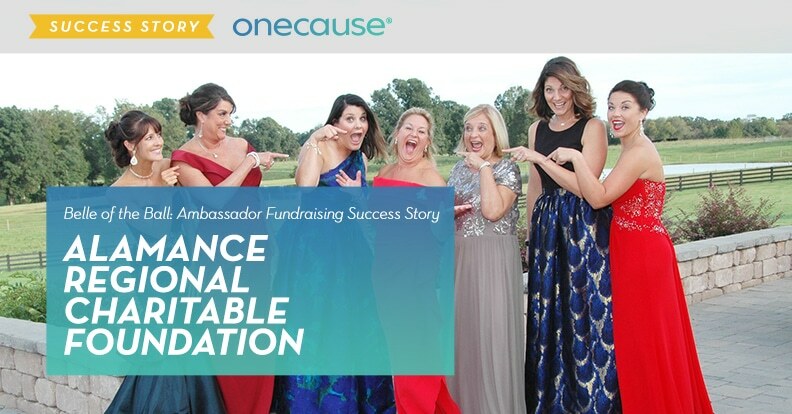 To create fundraising success, Alamance leveraged the OneCause Peer-to-Peer platform in key ways to motivate Ambassadors and empower them to reach goals. 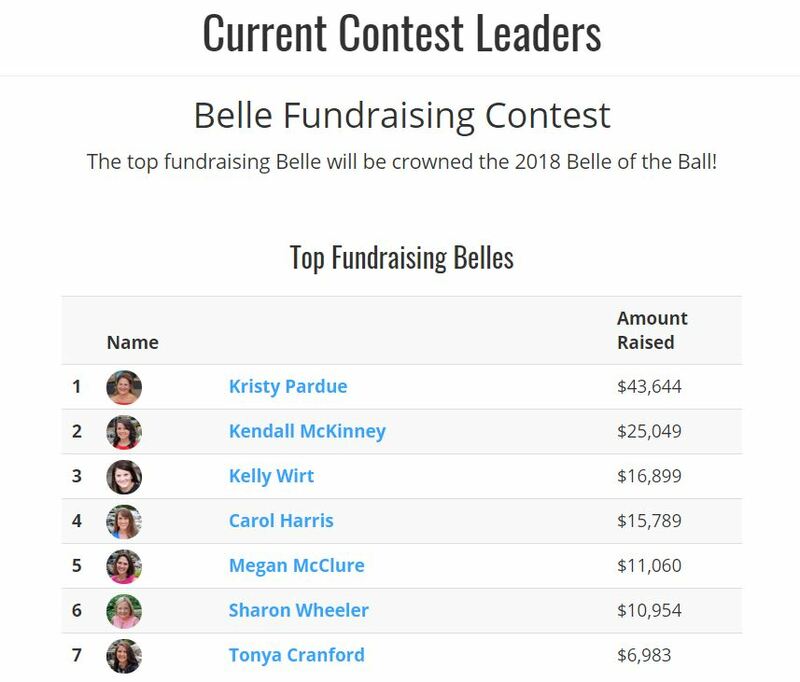 Custom Participant Pages: Each Belle had their own customized participant page, complete with photos, a personal message, social sharing links, real-time progress updates, goals and messaging capabilities. The customizable pages and fundraising sites were set up by the Ambassadors themselves (yes, they created them) within a few minutes. Social Engagement & Competition: Through built-in timelines, milestone emails and badges, leader boards and real-time social feeds, technology stoked the Ambassadors’ competitive juices and opened communication channels. Both Ambassadors and Alamance were able to recognize contributors instantly, keeping everyone engaged and focused on hitting goals. Ease of Use: Easy setup, registration, simple giving and turn-key social sharing tools gave Ambassadors what they needed to motivate their networks and amplify fundraising. The simplicity means anyone can do it – giving nonprofits more options when selecting Ambassadors and positioning everyone for success. Personal Fundraising Events: Finally, Ambassadors created and promoted their own fundraising events. These were smaller events Ambassadors hosted before the signature event to expand the network of gala givers, build community and drive additional pre-event donations. In the end, the Belles and Foundation had their best gala ever. They raised a total of $144,809 from the Ambassador Fundraising — over $74,000 more than the original goal of $70,000. For more information on Alamance Regional Charitable Foundation’s Belle of the Ball visit the 2018 Belle of the Ball website. Take a Test Drive of the technology that powered the Belle of the Ball and other successful nonprofits, and see the difference today.